Elegant clear crystal glass compliments a wide variety of rooms and decors. The Aladdin 501 Shade has a detailed design through out the shade. 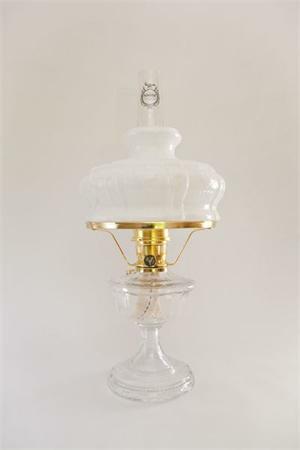 Top section of the Model 9 lamp shade is frosted, and the lower band is crystal clear for great light out put.